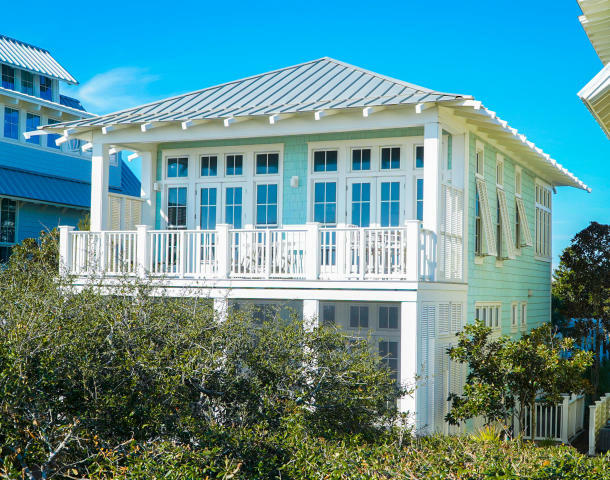 Directly on the Gulf and only steps from the bustling Seaside community, this WaterColor beach home is located along exclusive Beach Lane and one of only six Gulf front lots in WaterColor that extend all the way to the waterline. Natural light envelops this three-bedroom home with wall-to-wall breathtaking views and balconies perfectly designed to soak up the refreshing Gulf breeze. 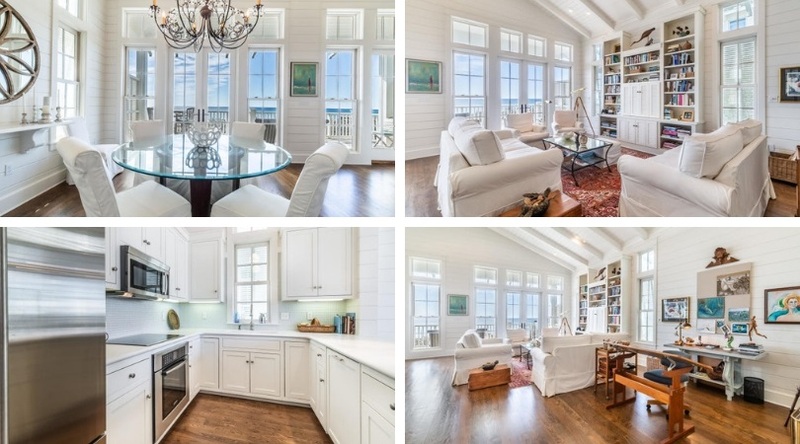 A bright coastal style defines the interior spaces with shiplap accents, custom built-ins and designer light fixtures. Two sets of double doors open the living and dining area up to a large covered balcony overlooking the Gulf, great for enjoying your morning coffee or entertaining with sunset views. 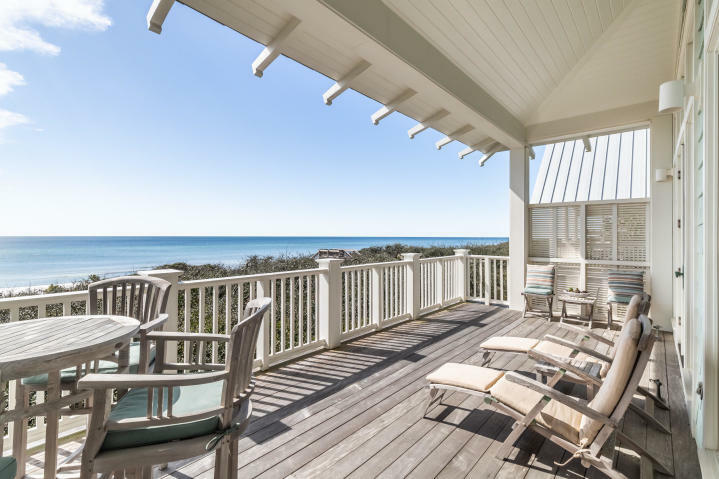 Downstairs, a dune side porch is a private getaway perfect for a lazy afternoon of reading. A serene master suite and two comfortable guest rooms allow everyone to feel at home at this welcoming beach retreat. A beach boardwalk is adjacent to the property and the WaterColor Beach Club is located just west of the home with expansive pool deck and dining. 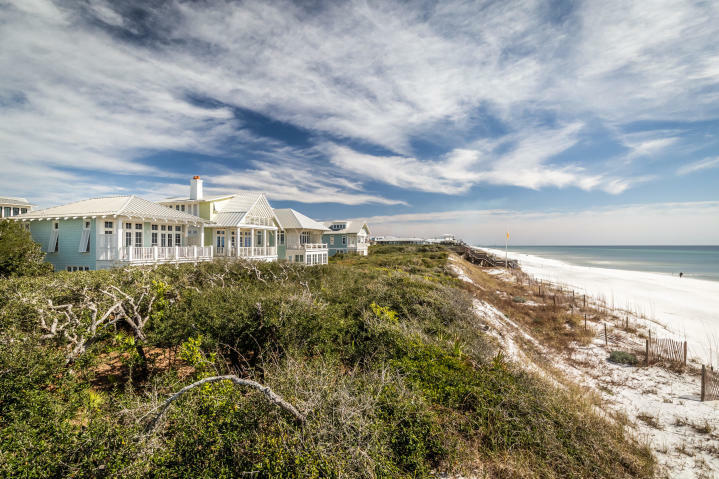 Located on 499 acres in the renowned South Walton beaches, WaterColor was created with families in mind and offers the charm of small town life. Exceptional community amenities include six beautiful swimming pools, a Gulf front beach club, nature trails, a Boathouse offering kayaking, canoeing and paddleboarding, a fitness center, outstanding tennis facility, Camp WaterColor for kids, parks and lush green spaces.